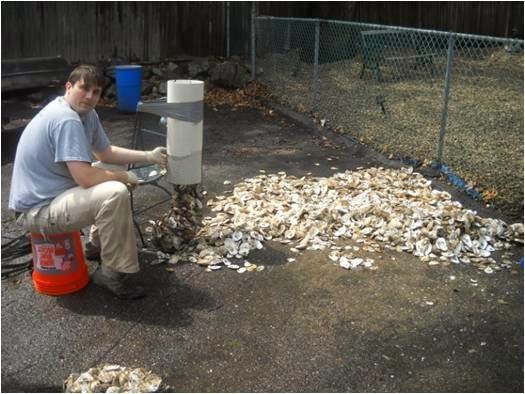 Here at Mass Oyster (MOP) we had an inventory in the form of a roll of mesh netting. We had purchased it a couple of years ago, but had not been able to use all of it. 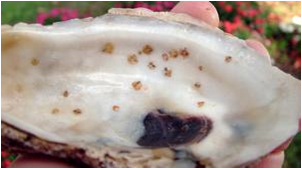 It is routinely used for holding shell when it is being exposed to spat in a nursery. A friend of MOP was heavily involved in Scouting and seeking a meaningful project with an environmental element for them to pursue. We worked together with troop leadership to develop the project for the boys. 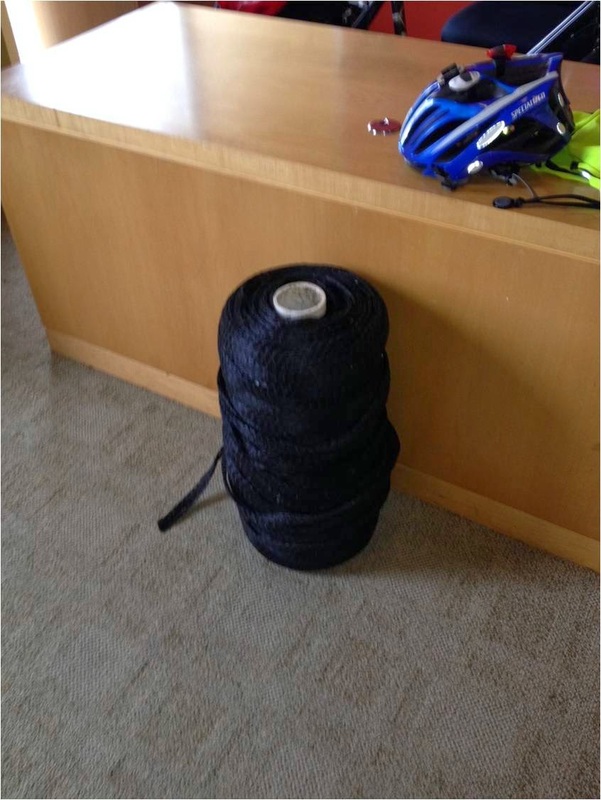 We provided the boys with a spool of netting. The boys were from Troop 49 of St. Catherine's Parish in Norwood and they did a fine job. They cut the netting into 36 inch lengths, then passed it off to colleagues who would tie off one end. Then, the yard long pieces were tied into bundles of 20. They made over 20 bundles. Scouts from Troop 49 hard at work. The participating boys received the highly coveted Mass Oyster Patch. The tubes were then delivered to the Cape Cod Commission for the next step. 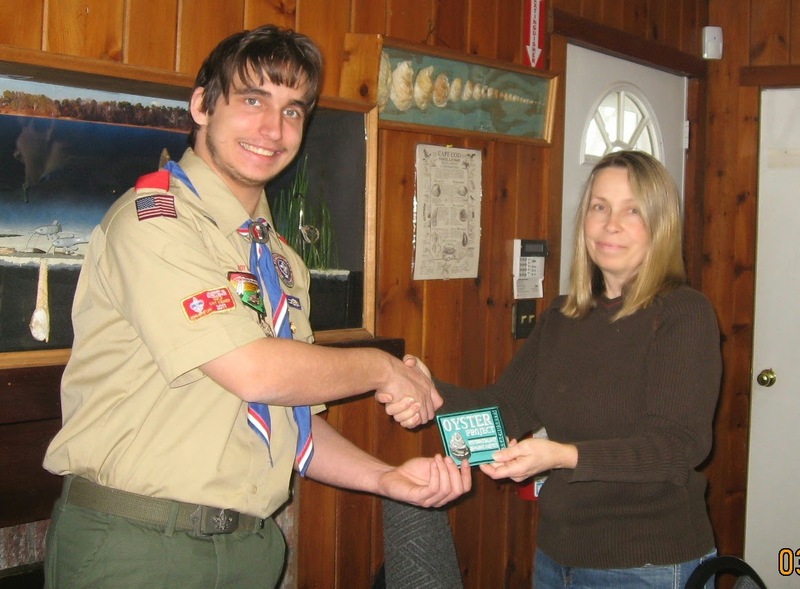 Scout hands over a patch after delivering 429 mesh bags for oyster restoration. The commission will then load the mesh tubes with recycled shell. 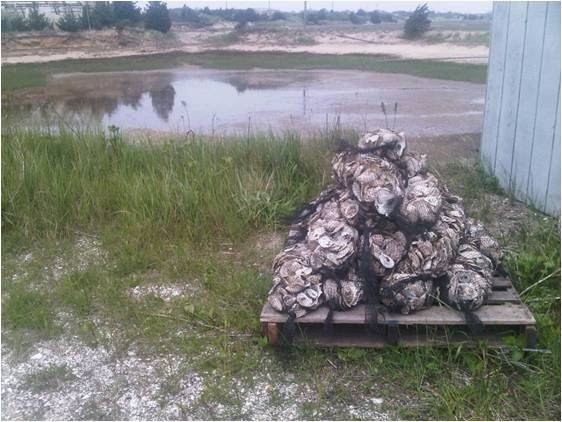 Then the bags will be delivered to a hatchery where the bags of shell will be immersed in tanks with billions of free floating baby oyster spat. Those spat will settle on the shell and begin to grow. Bags of Shell at a hatchery collecting spat. 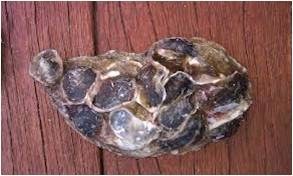 Numerous spat on a shell after growing to the size of nickels. 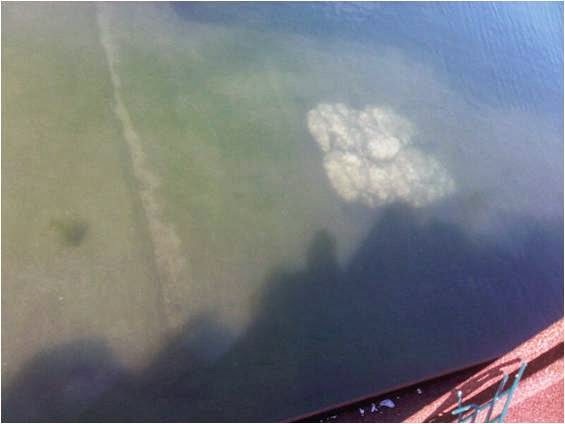 Oyster reef growing on a castle substructure.